Dori is a female Standard Poodle born on 8/9/08. Dori’s full name is actually Uki Dori Inu which means Cheerful Street Dog in Japanese. She is also missing a canine tooth. I have a Labradoodle sister named Sully who is four years older than me. I was homeless and living on the streets until the dog catcher found me. I was placed on “Death Row” at the pound, but lucky for me a rescue got me out of there just in time. My mom was specifically looking for a therapy dog and the rescue said I was the perfect dog for the job. Once a week I work at an autistic school helping with speech or occupational therapy. I also work in the Safe Humane Youth Leaders Program. 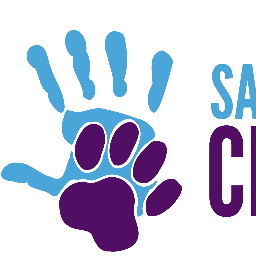 I help the high school students teach elementary school students how to humanely treat dogs and how to be safe around dogs. My favorite part is showing off my tricks and then sniffing all the kid’s hands before they pet me. I like to sniff around in the flower garden until my mom tells me to “get out!”. I can “Say my Prayers” and go “Night Night”. I am also learning how to jump rope. I like toys that squeak, but my favorite is whichever to my sister is playing with. I love pork chops and strawberries. I’m hardly ever home alone because both my mom and my dad can take me to work. At every Safe Humane event there is this really fun part when all the kids get to pet me. I love kids because they like to play and give me lots of treats. I wish every day was a Safe Humane day.